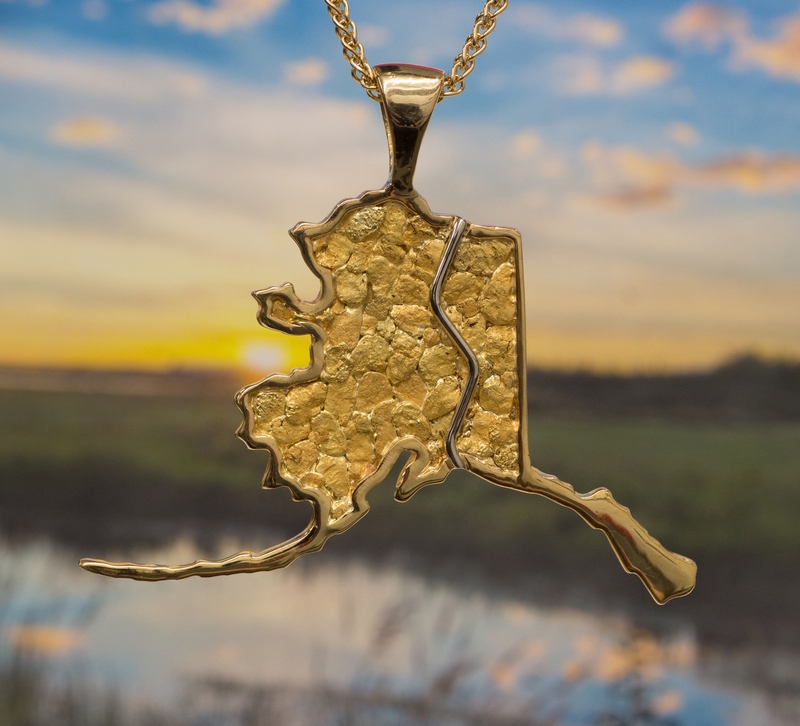 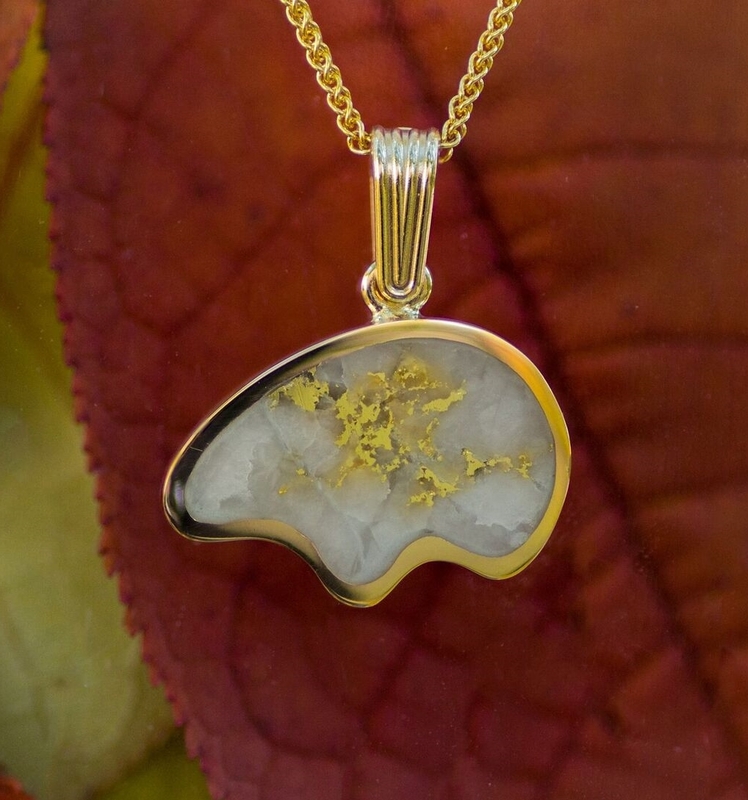 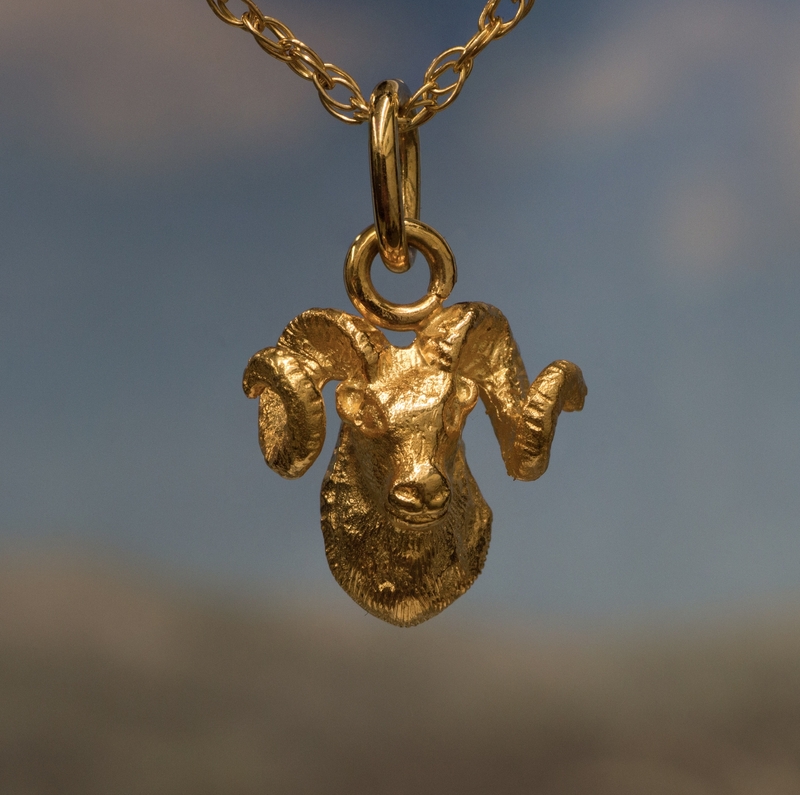 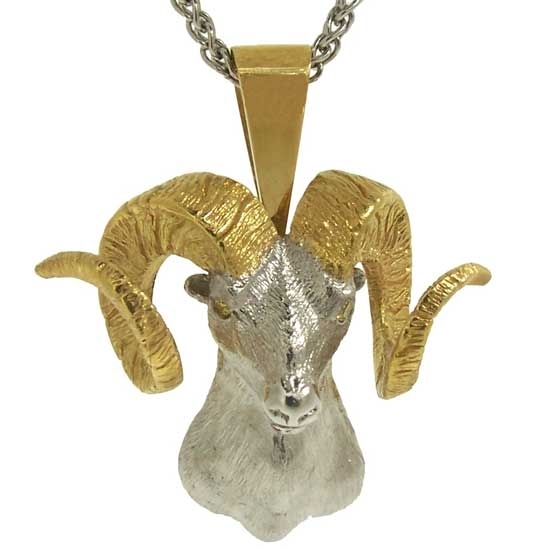 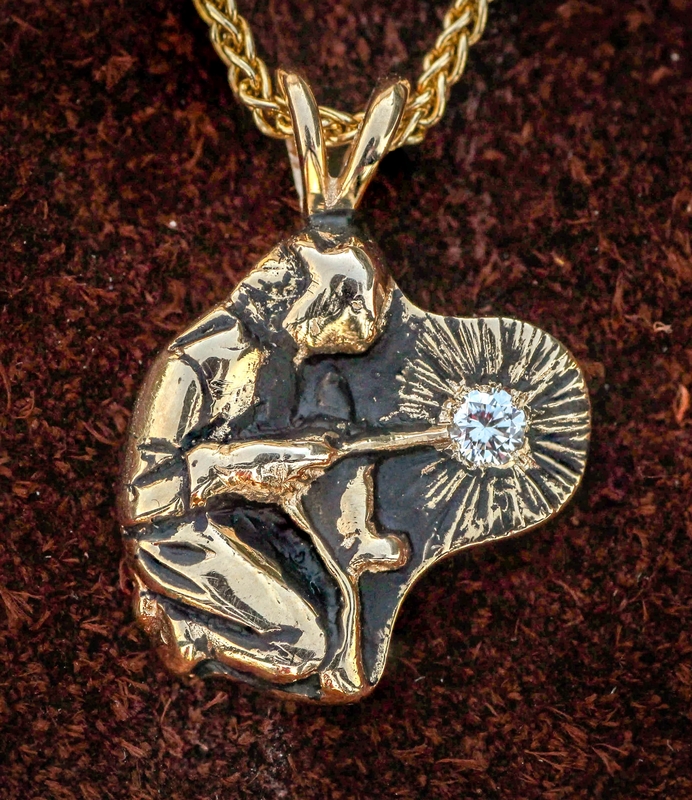 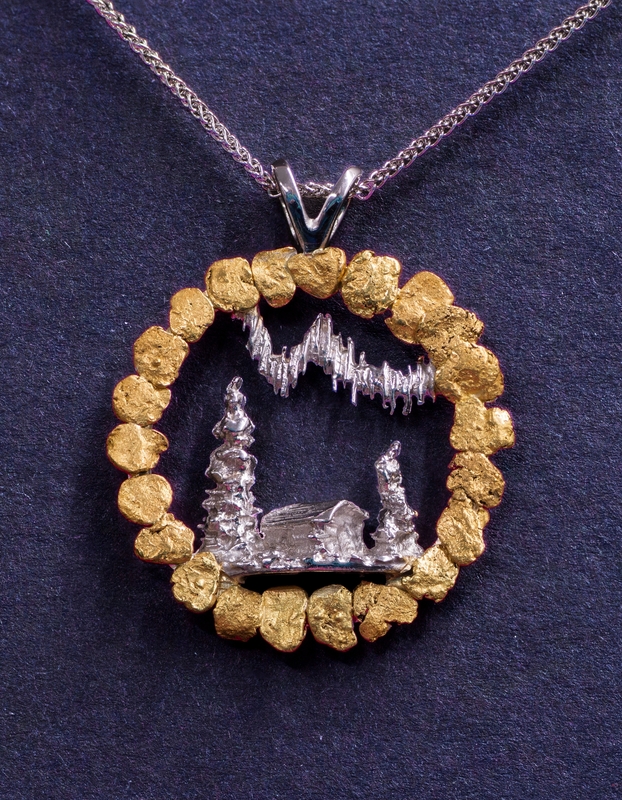 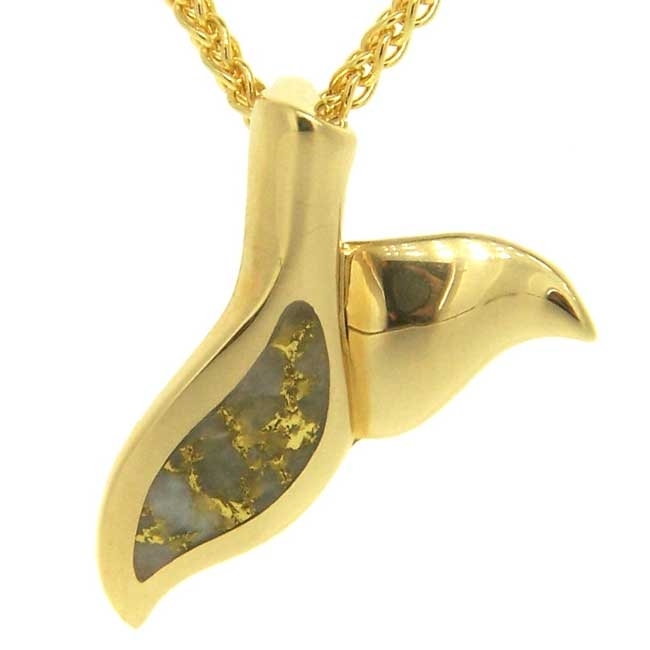 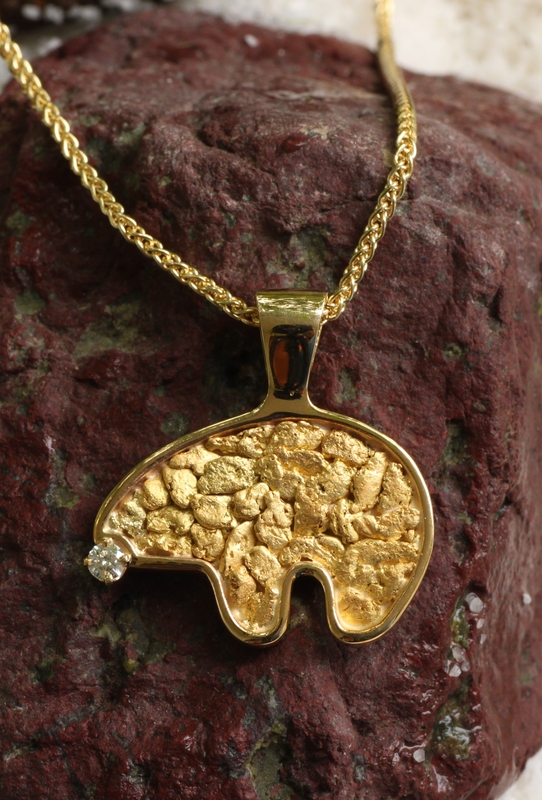 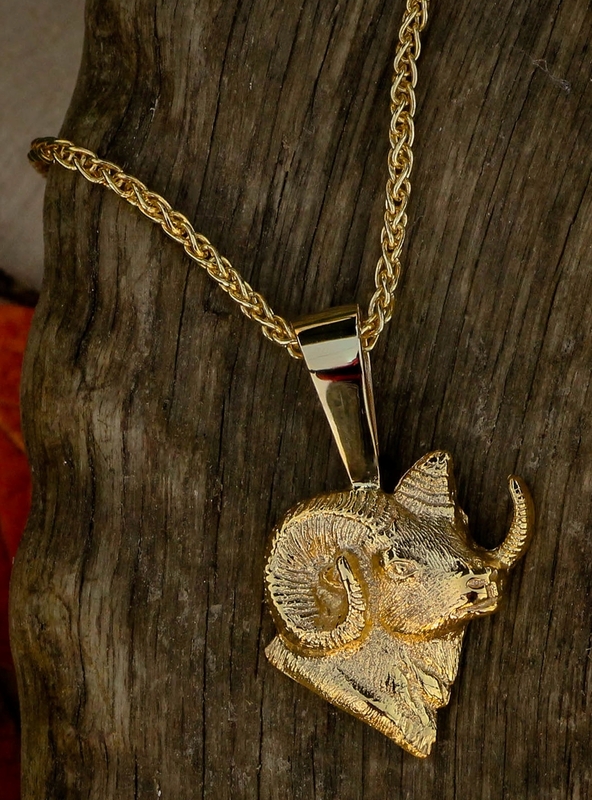 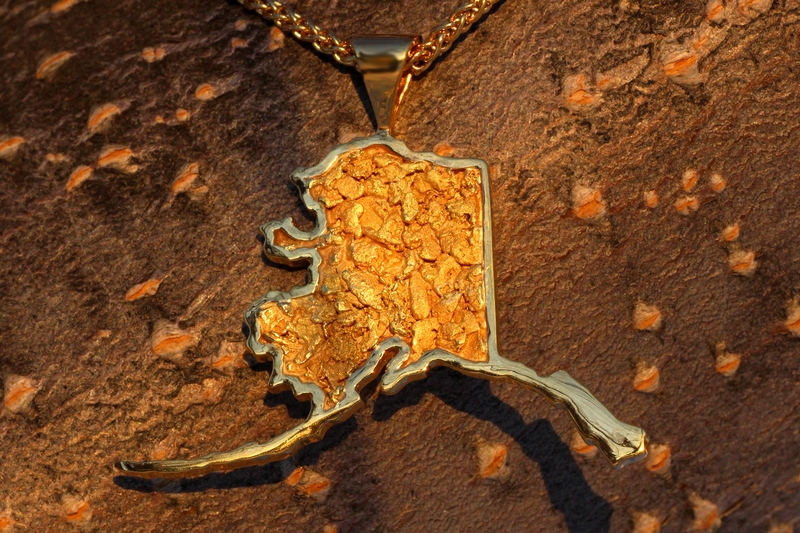 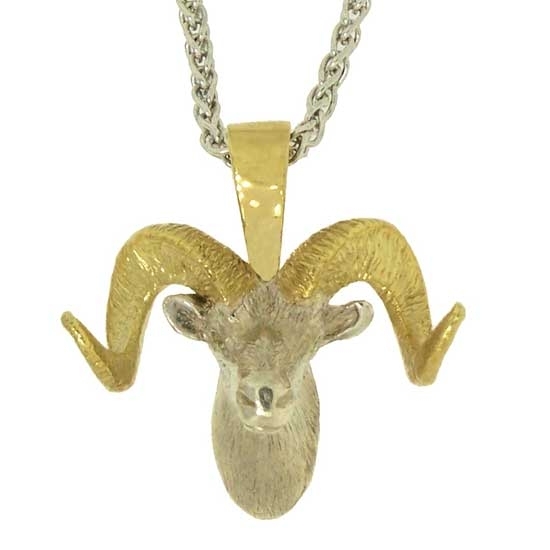 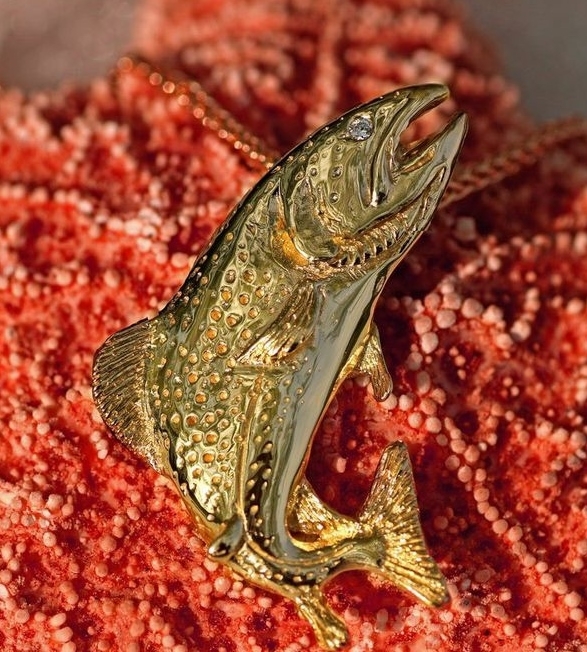 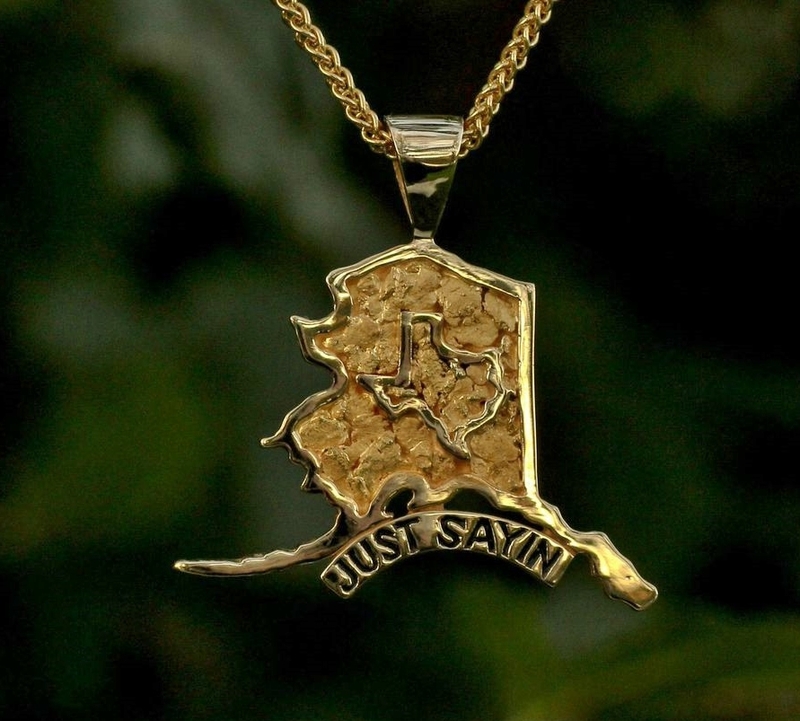 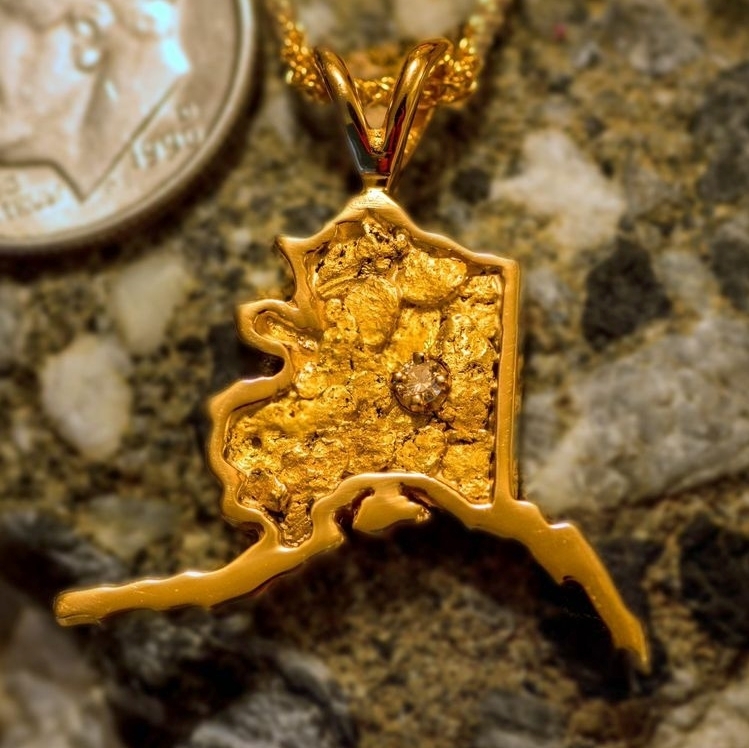 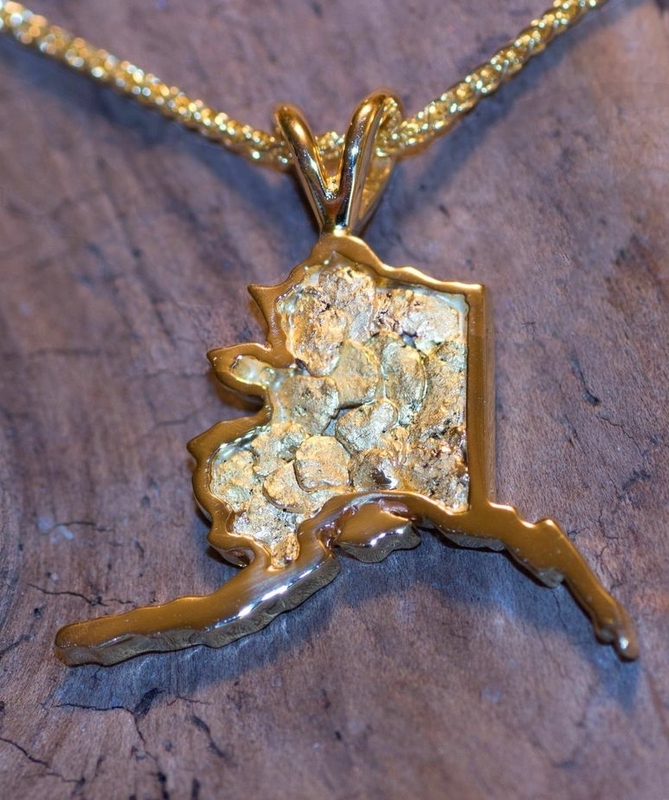 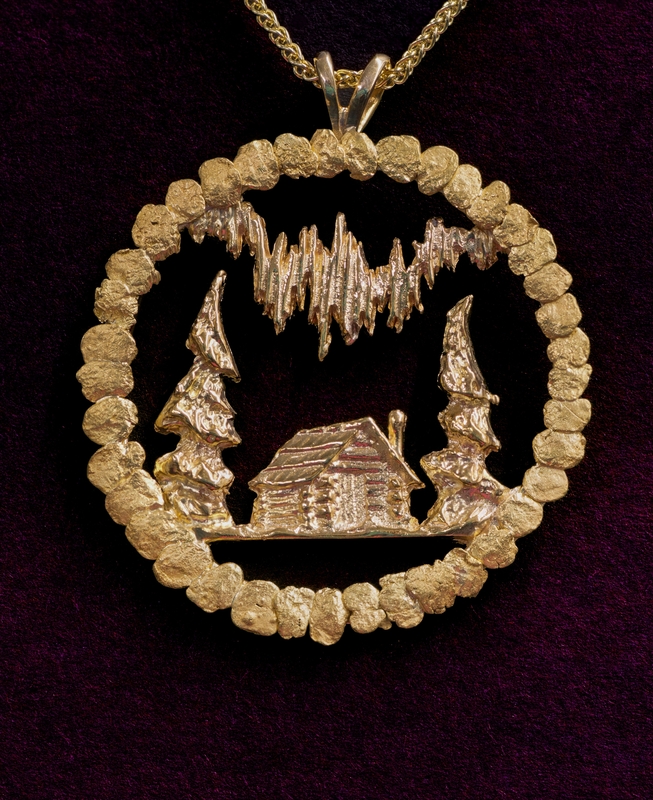 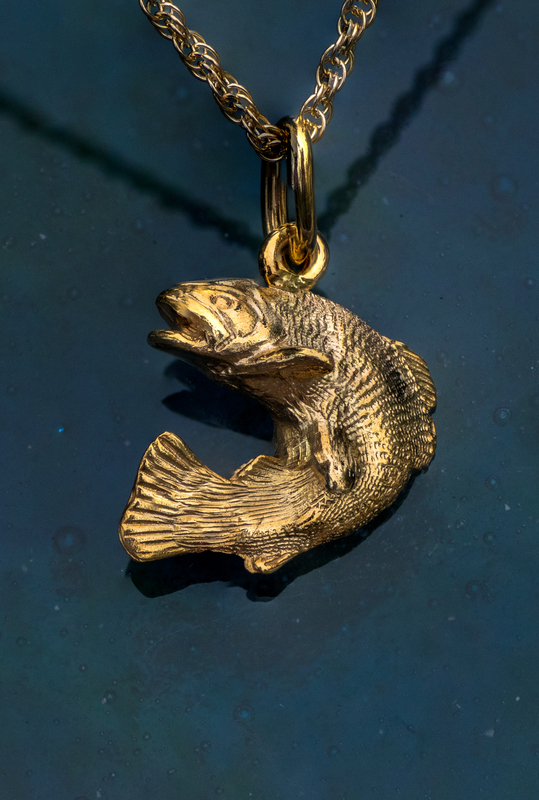 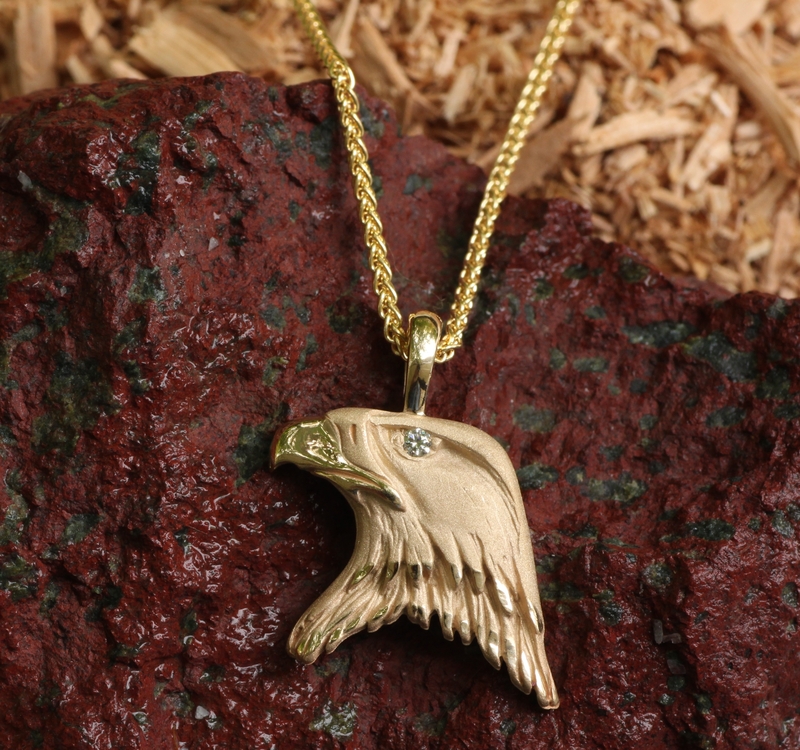 Elegant Alaska Pendant with diamonds in 14kt White Gold with 907 in yellow gold. 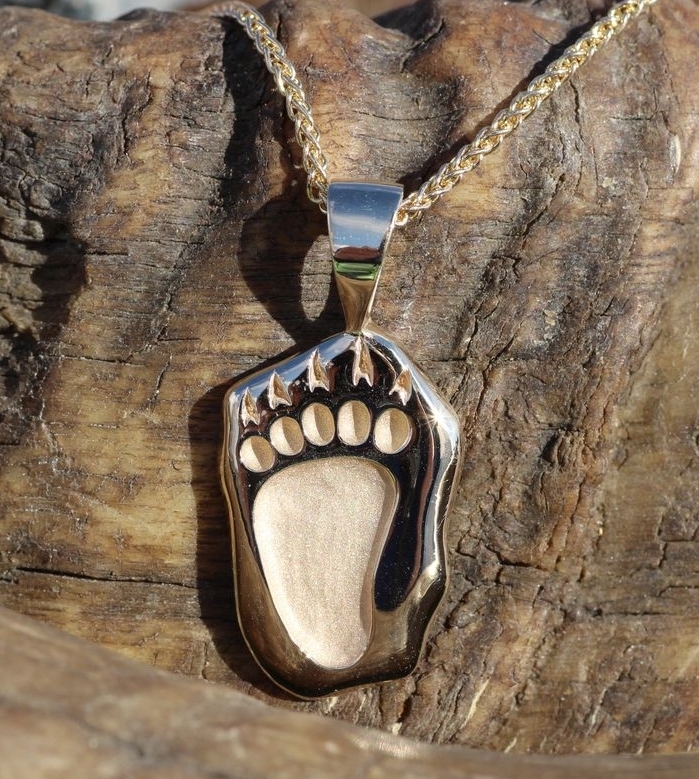 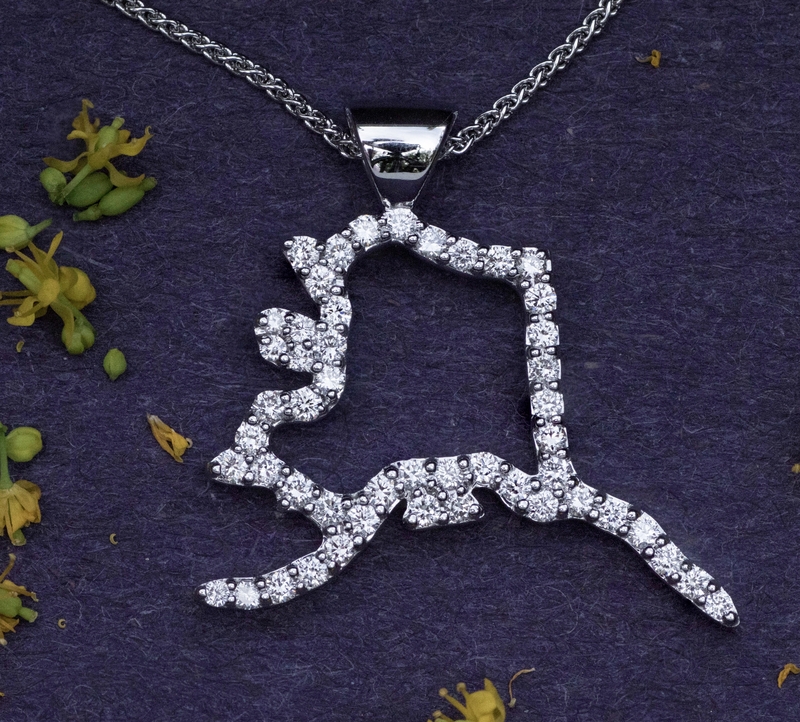 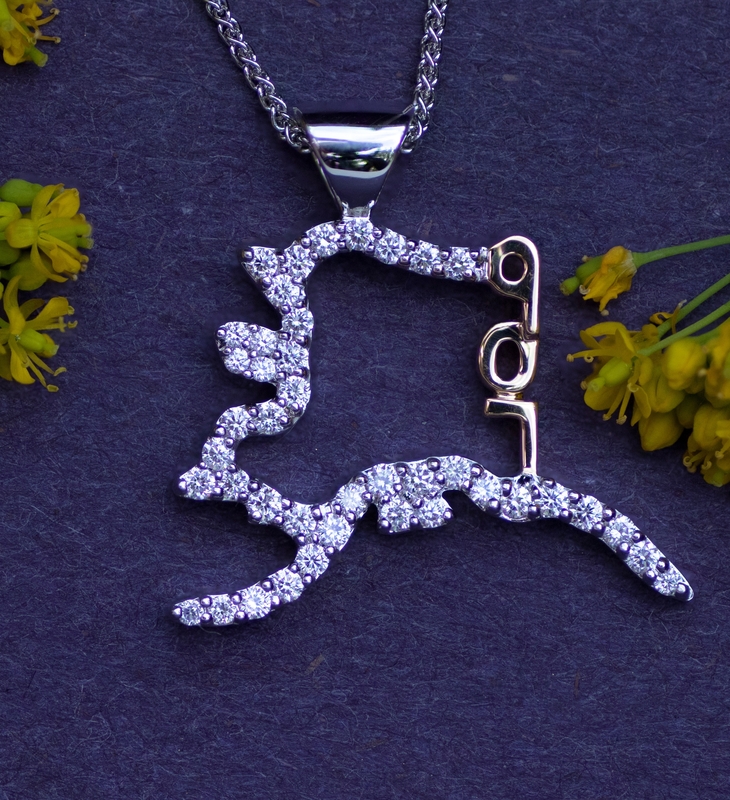 Elegant Alaska Pendant with 49 diamonds in 14kt White Gold pendant. 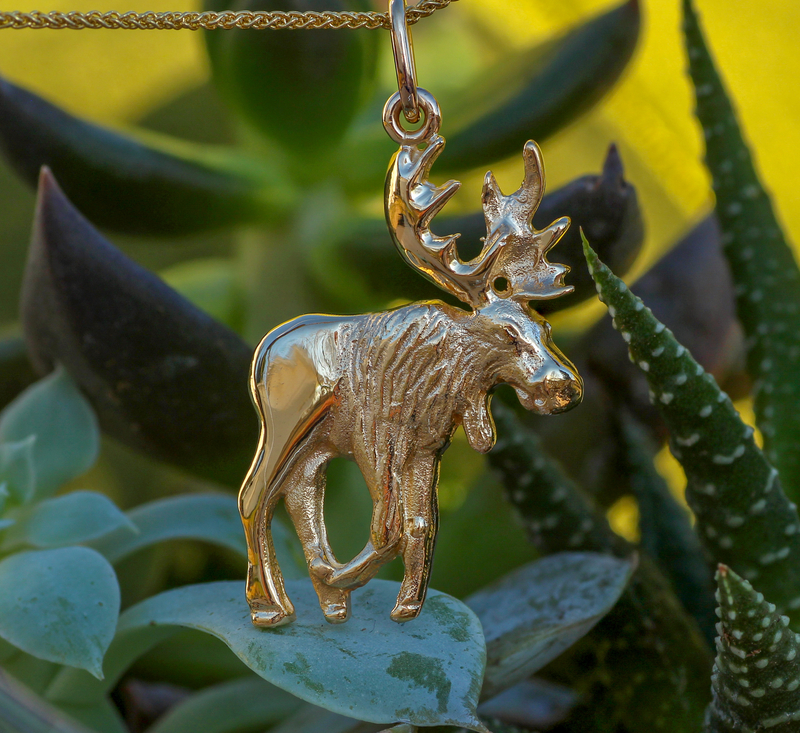 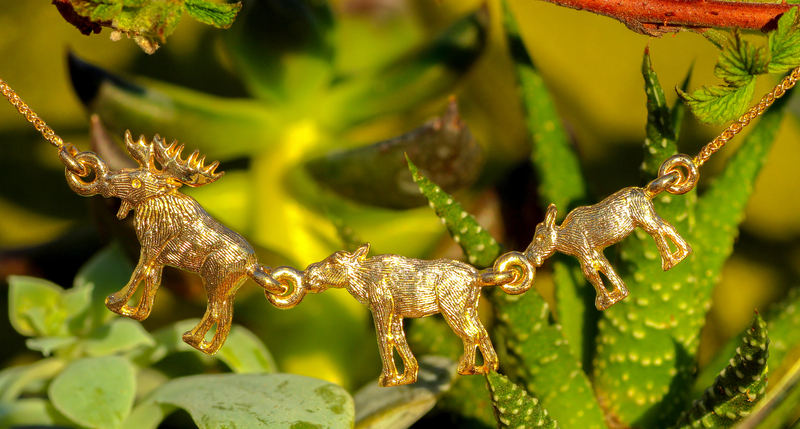 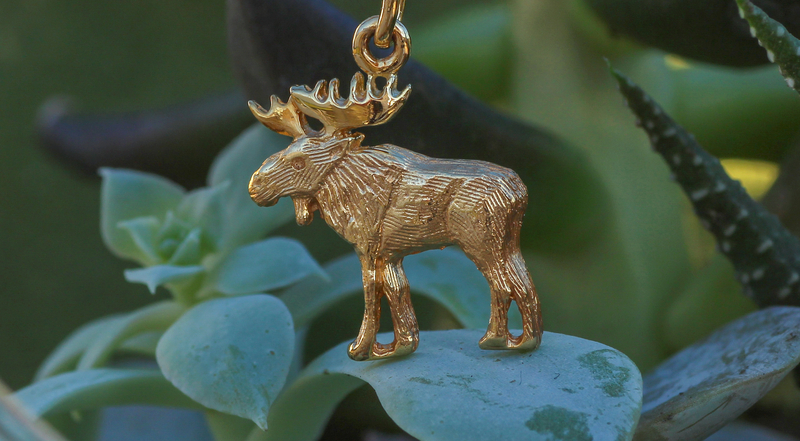 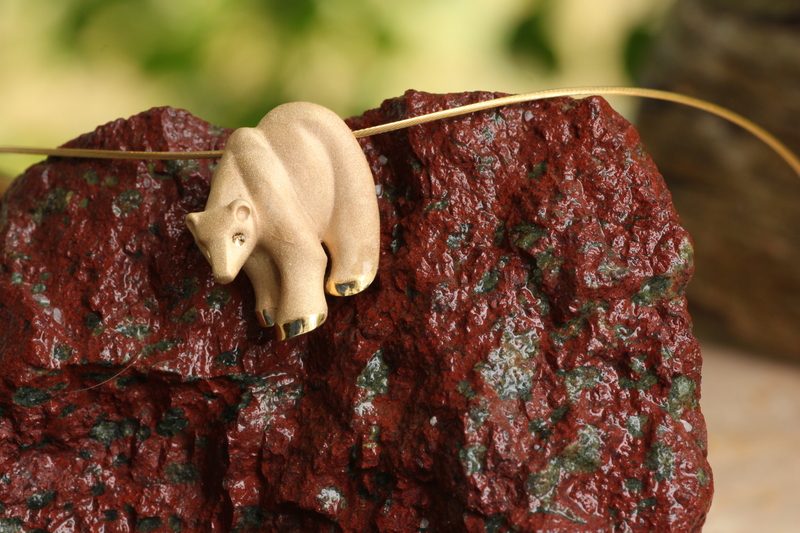 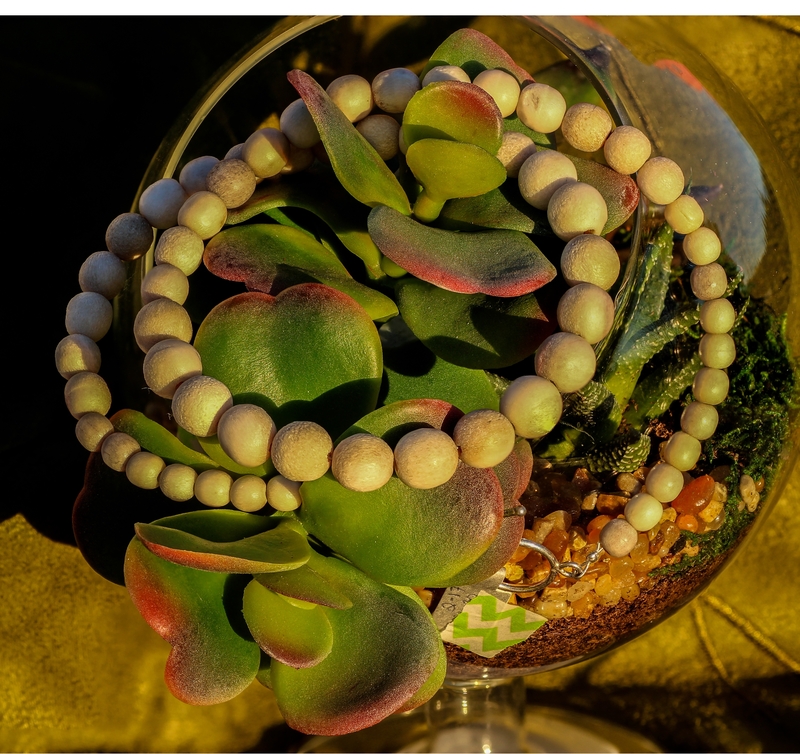 Rustic Alaskan Moose Bead Necklace. 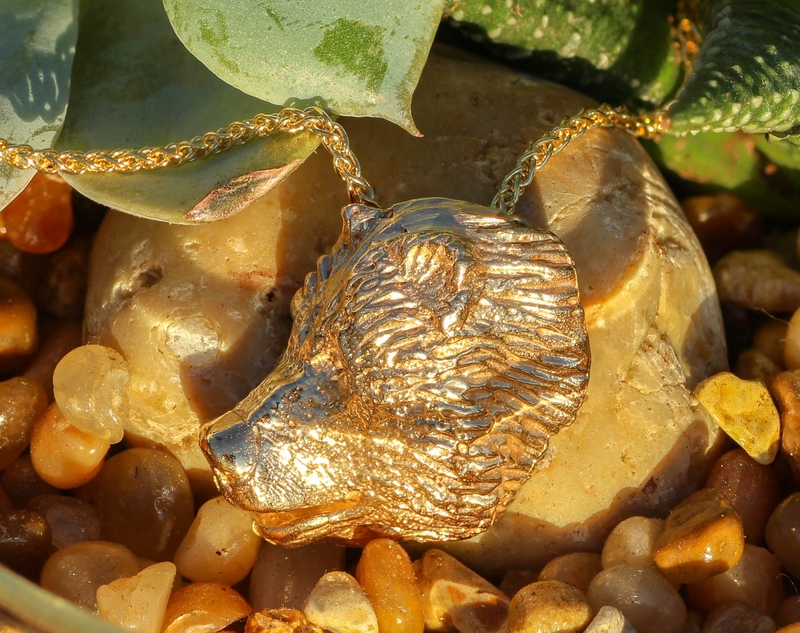 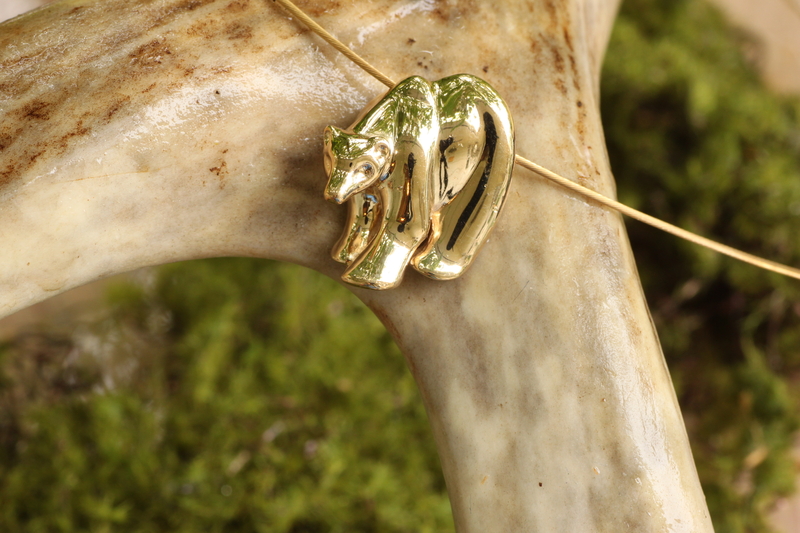 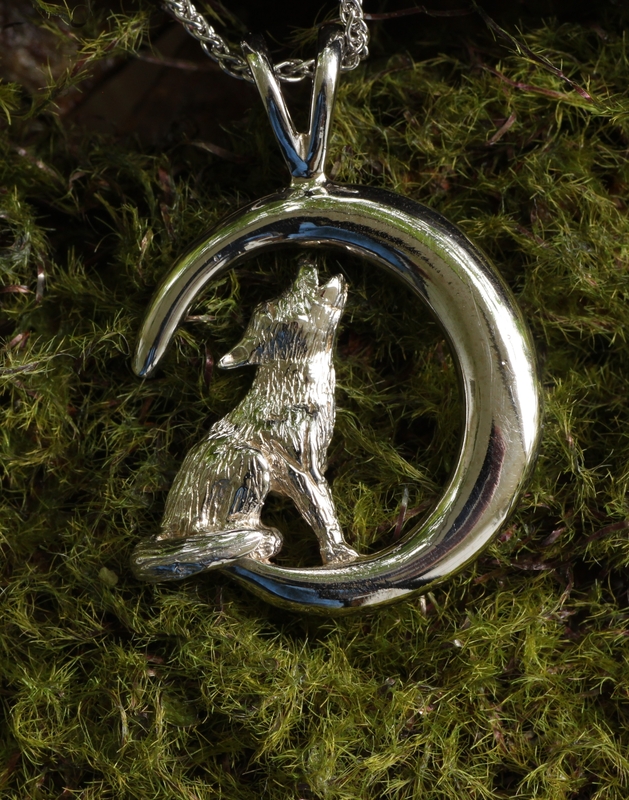 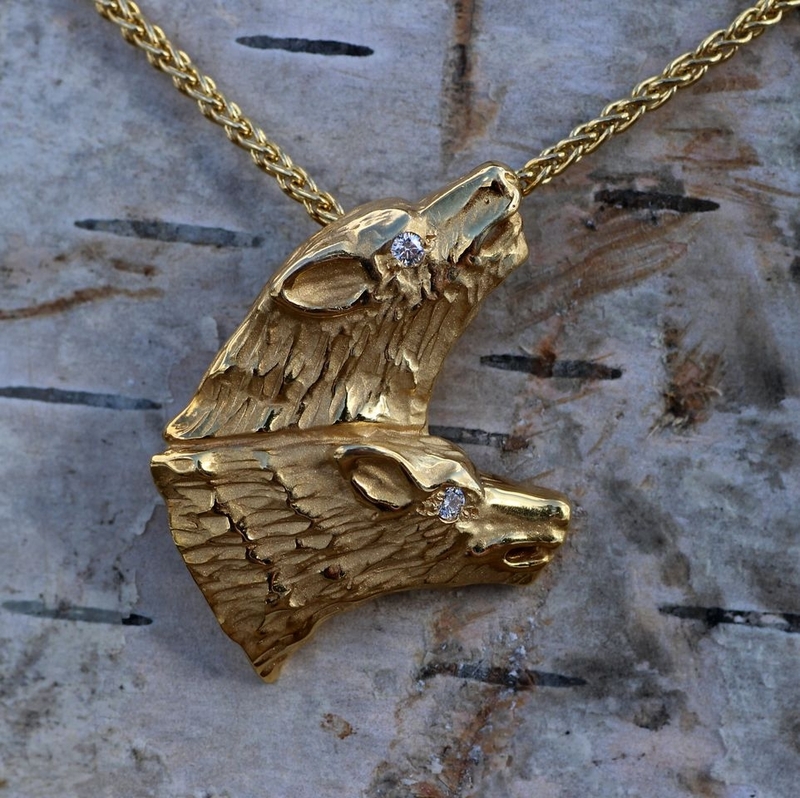 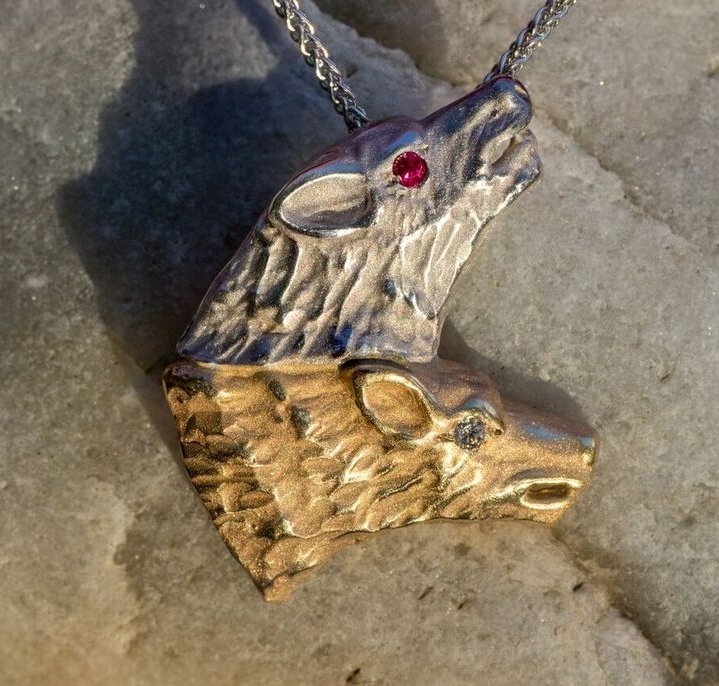 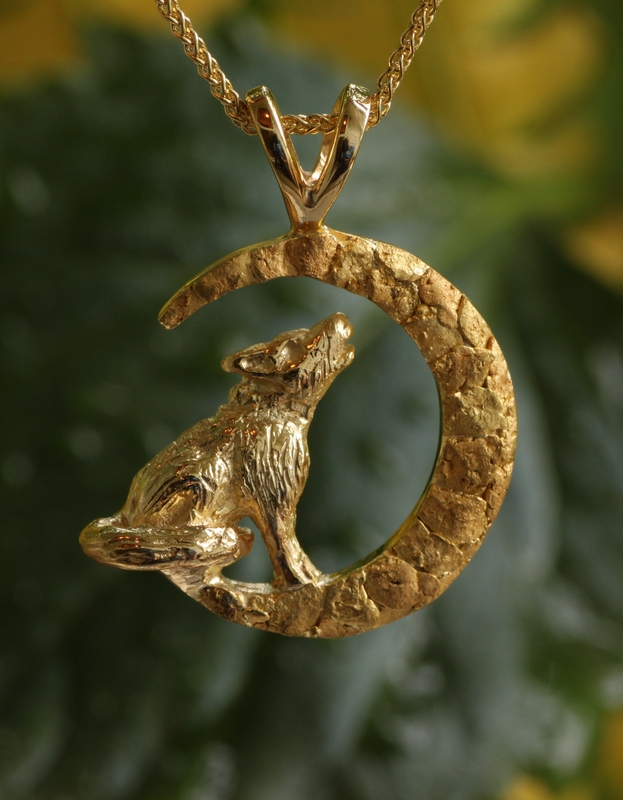 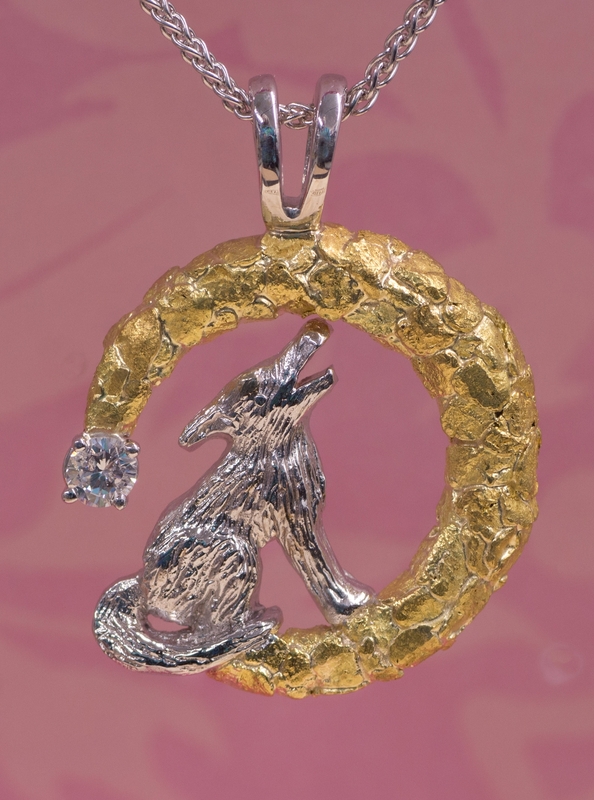 Wild Alaska Wolf howling at the moon in a 14kt White Gold pendant. 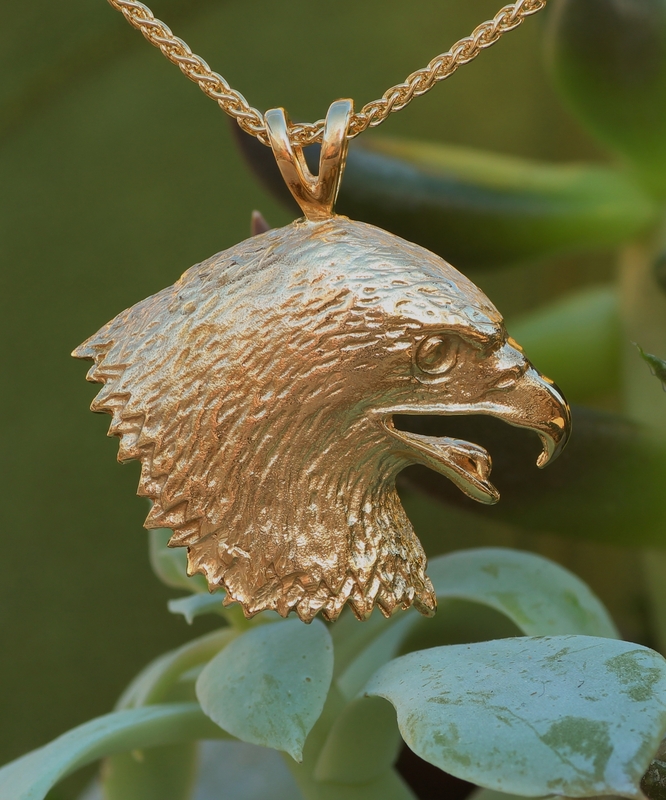 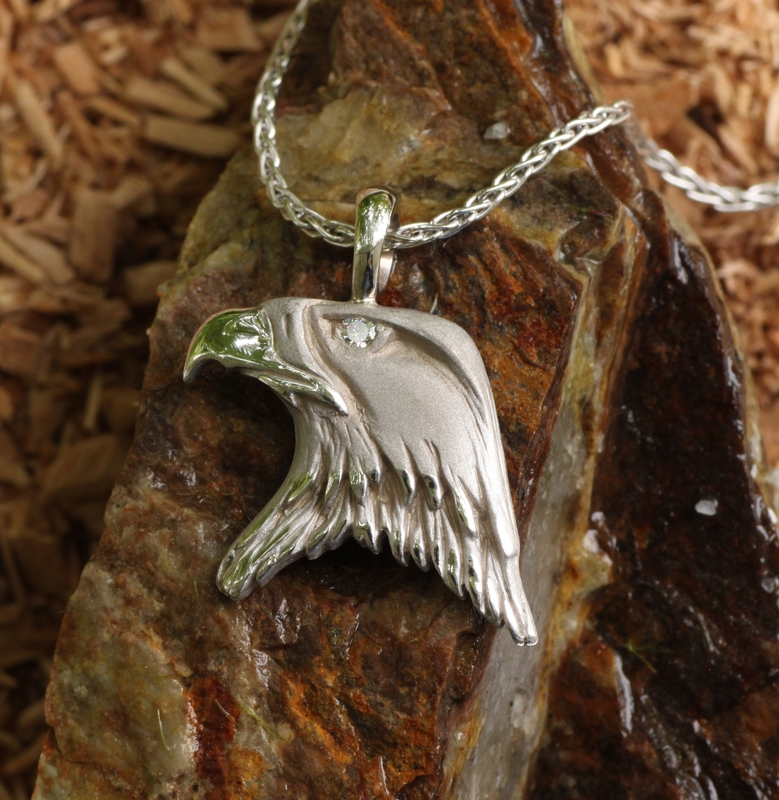 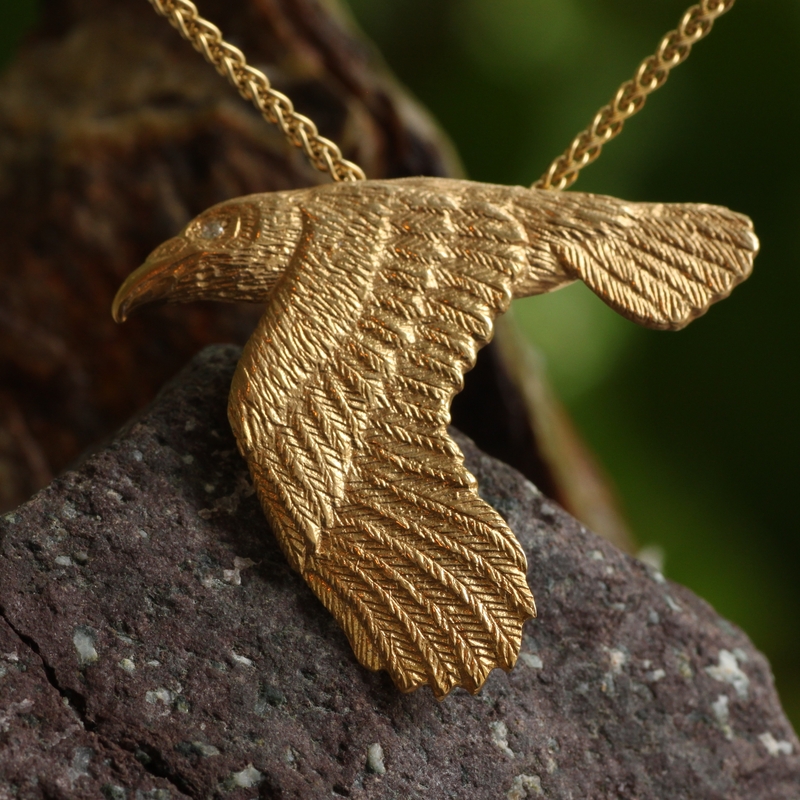 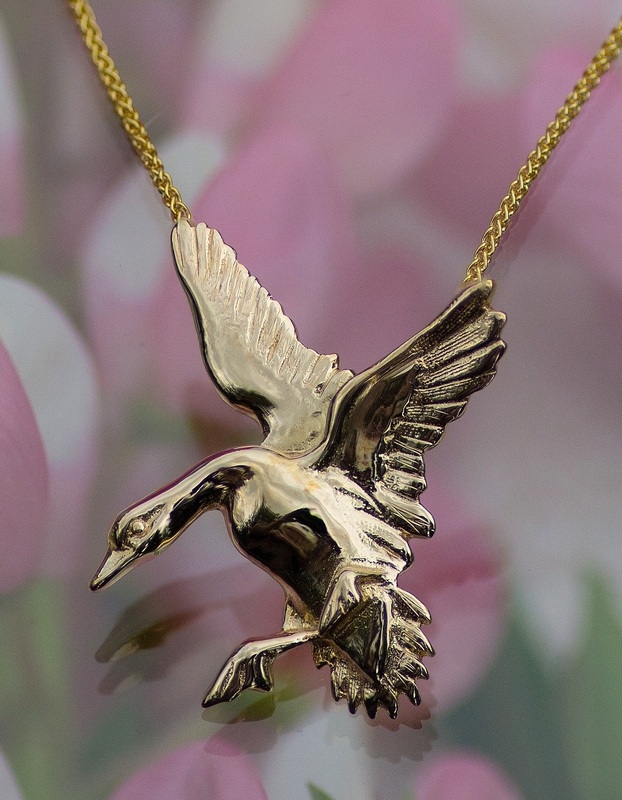 Wild Bald Eagle Pendant in 14kt White Gold and a brilliant Diamond with a satin finish. 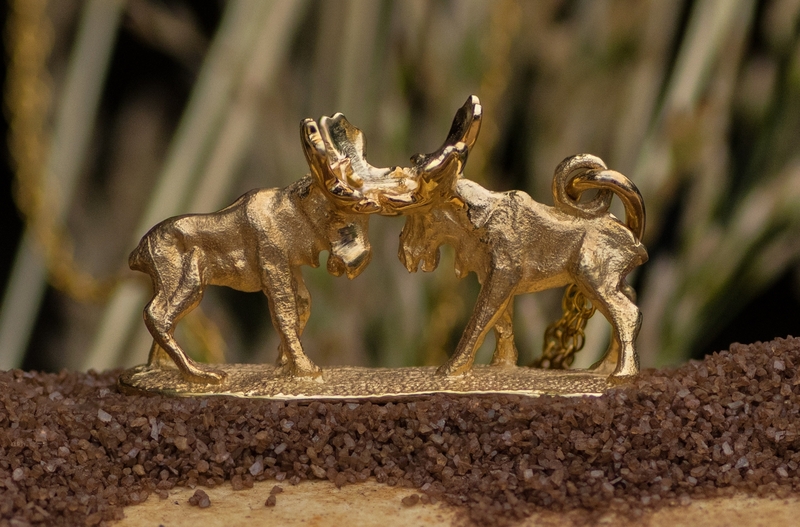 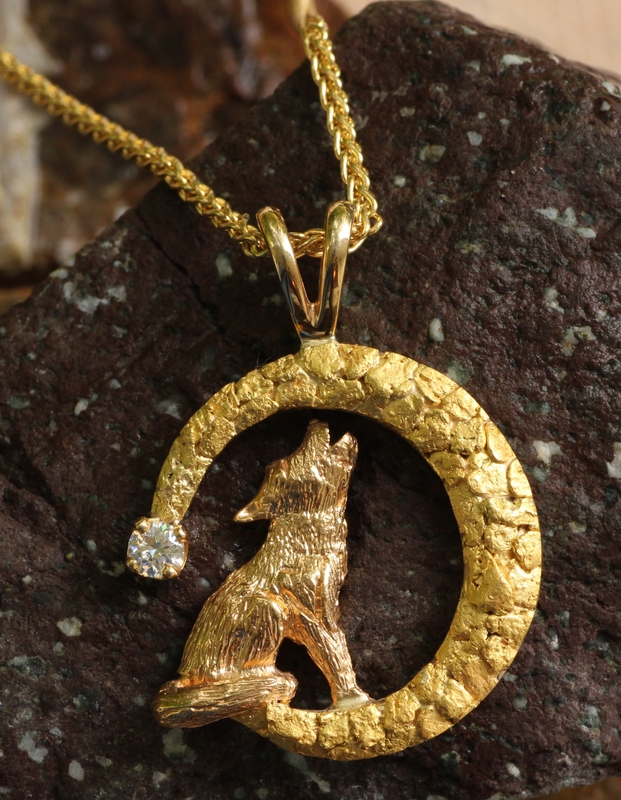 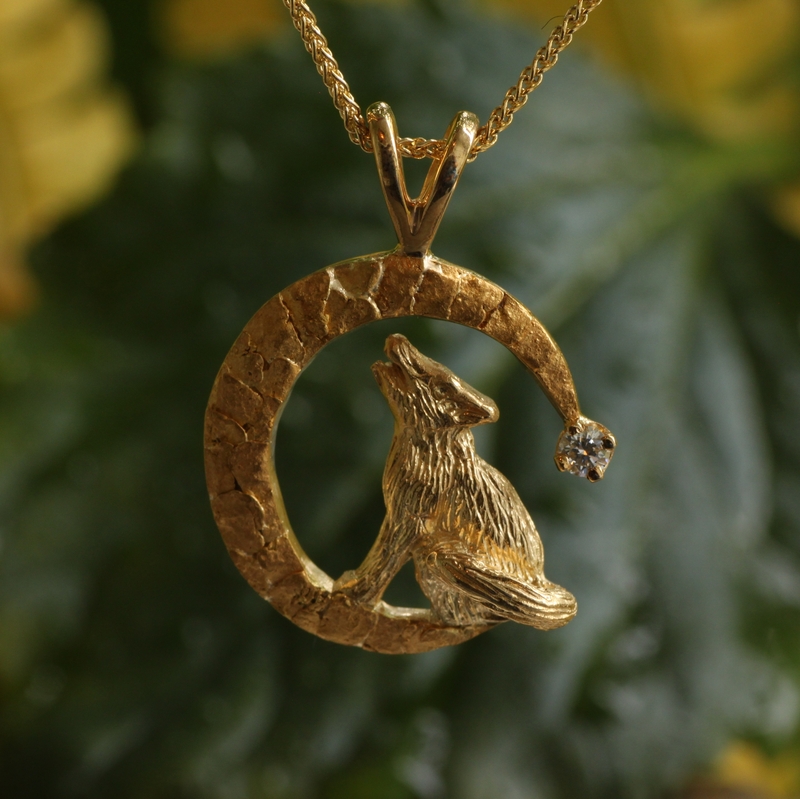 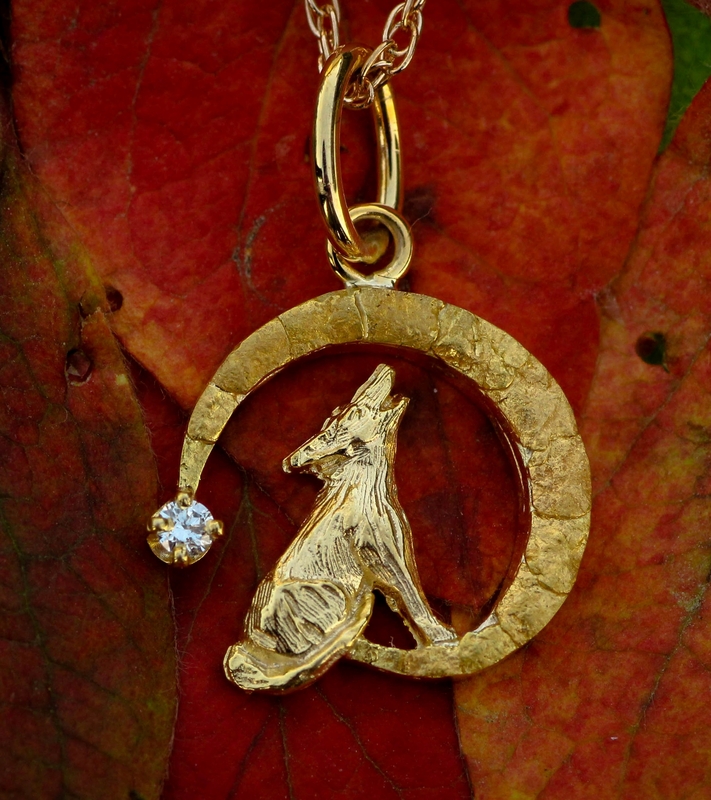 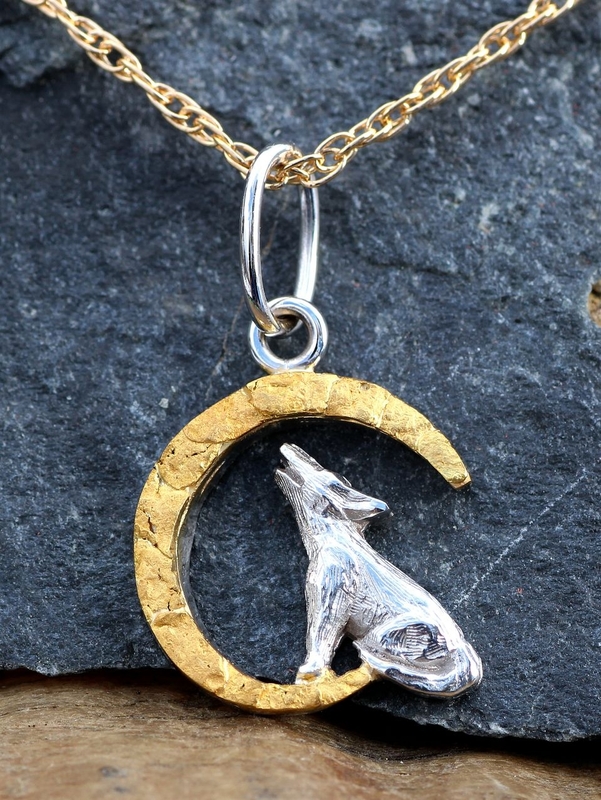 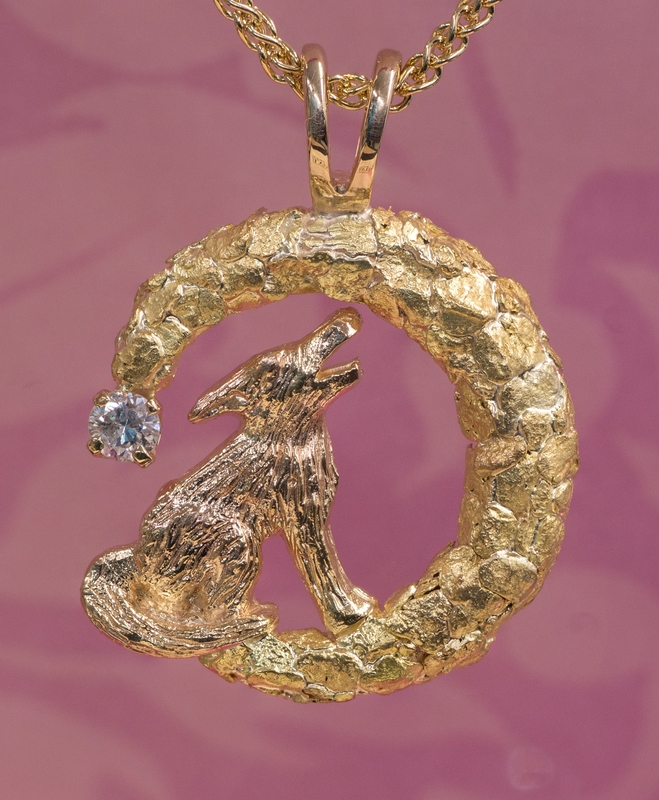 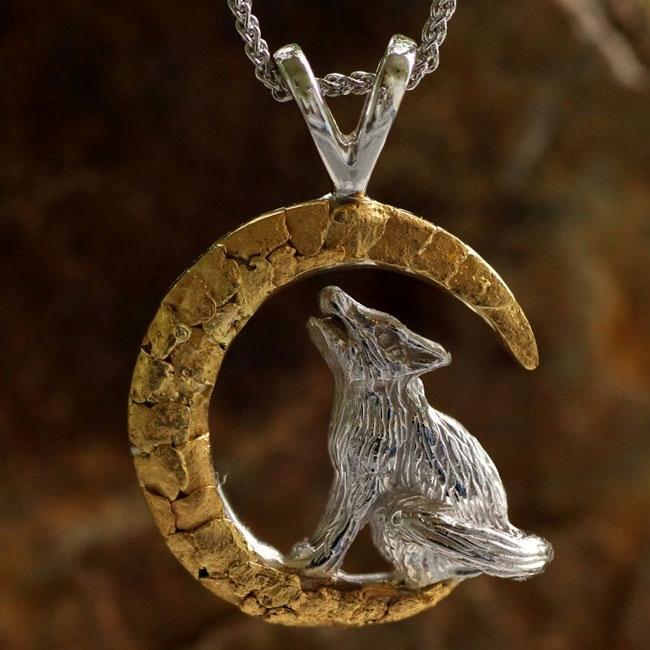 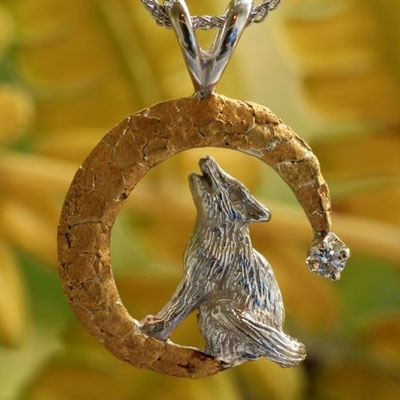 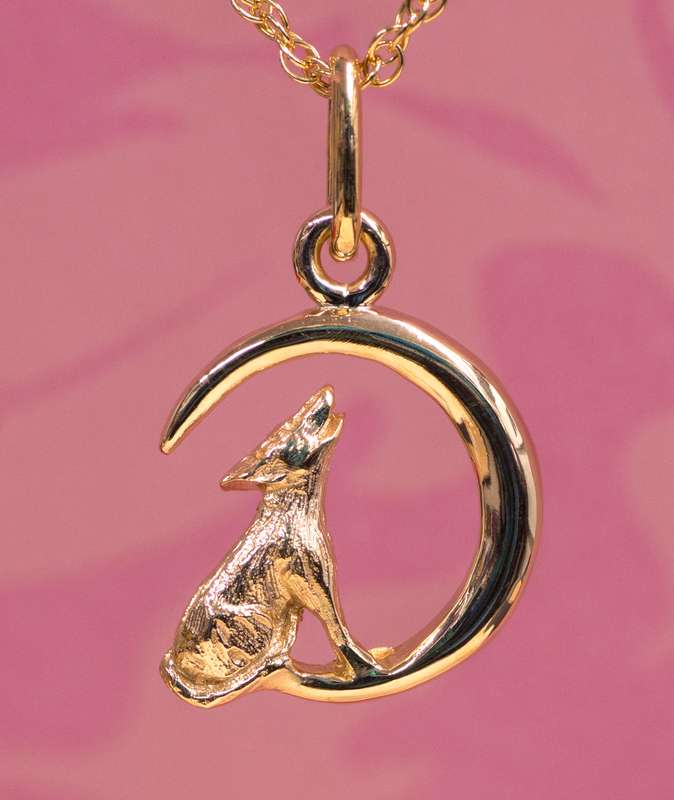 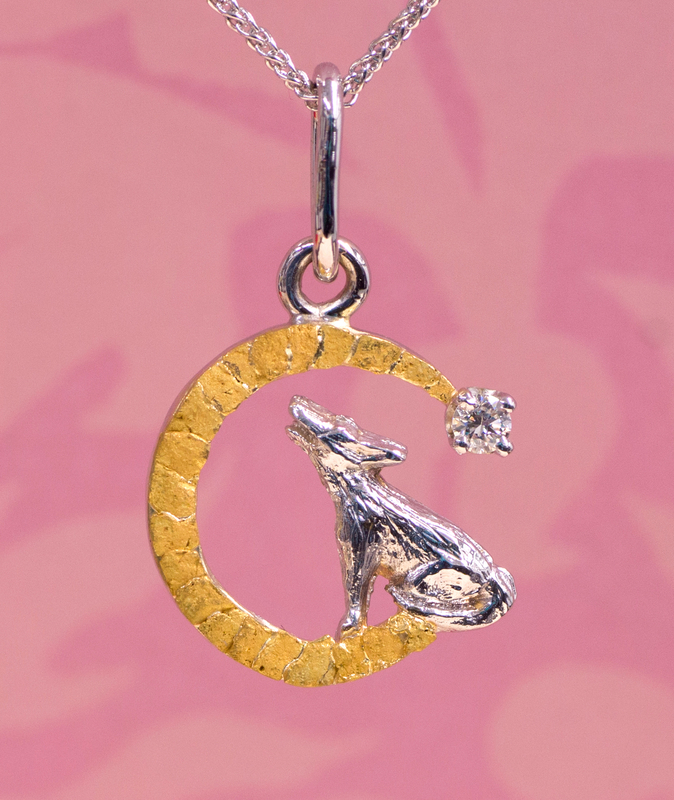 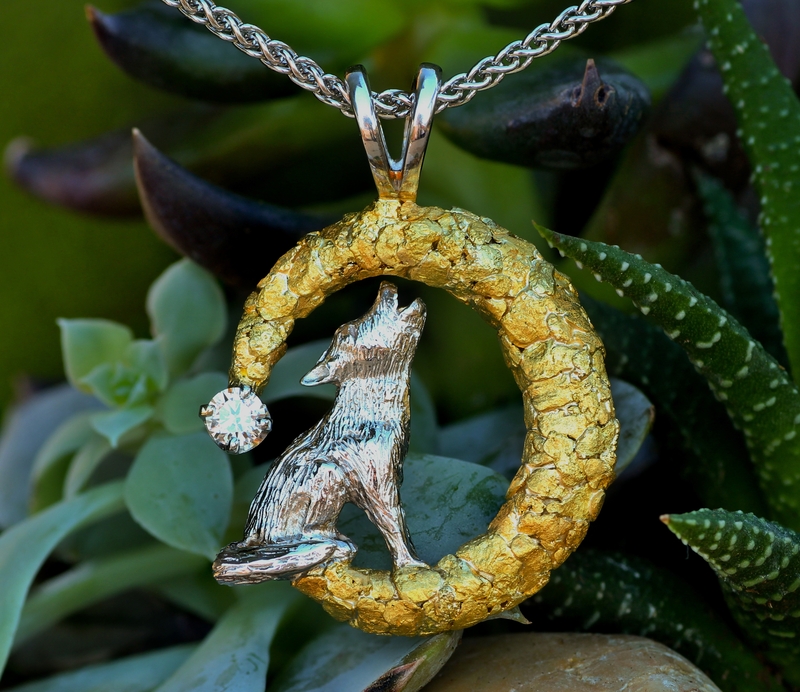 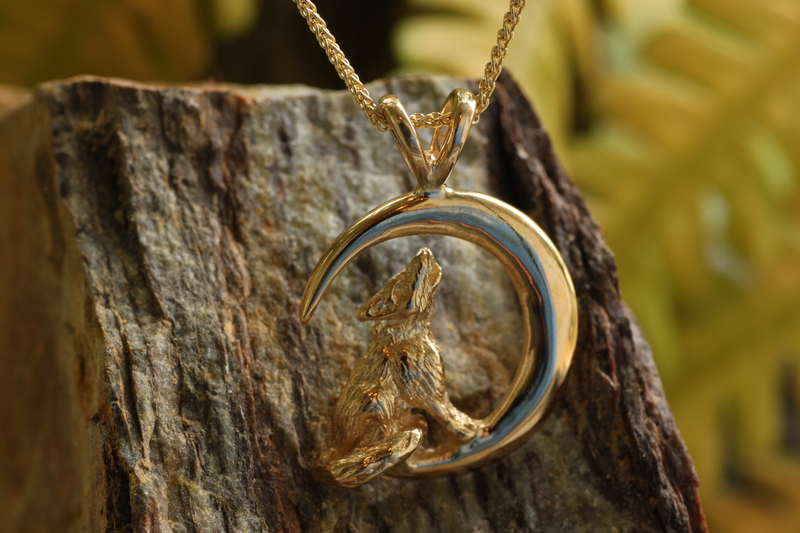 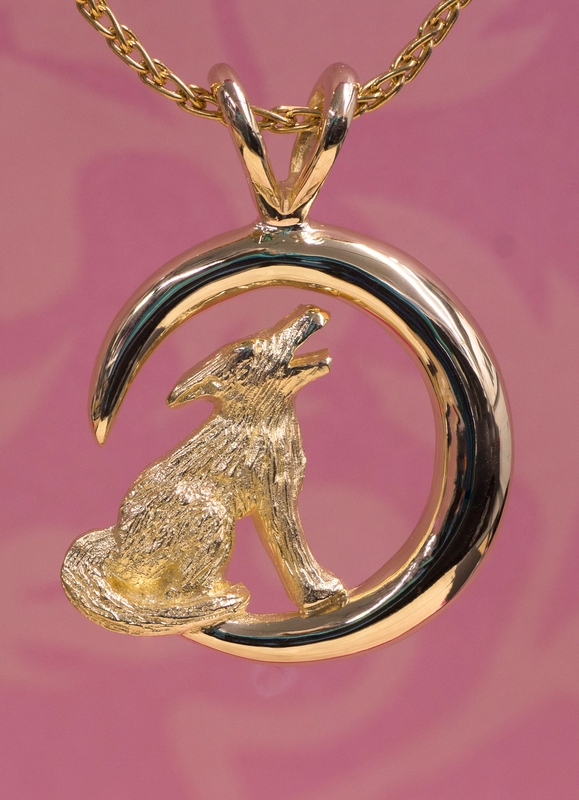 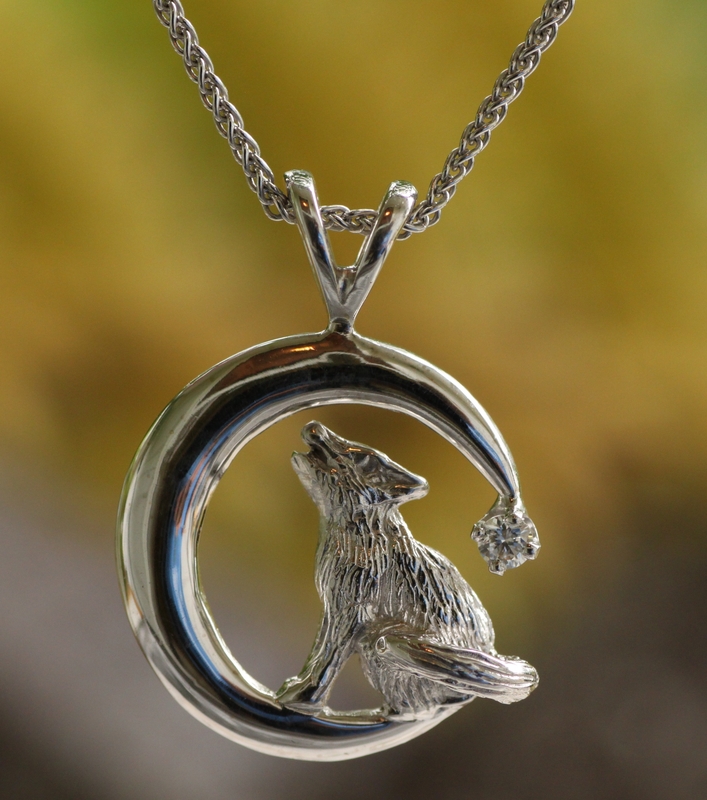 Wild Alaska Howling Wolf with a diamond tipped moon in 14kt White Gold pendant. 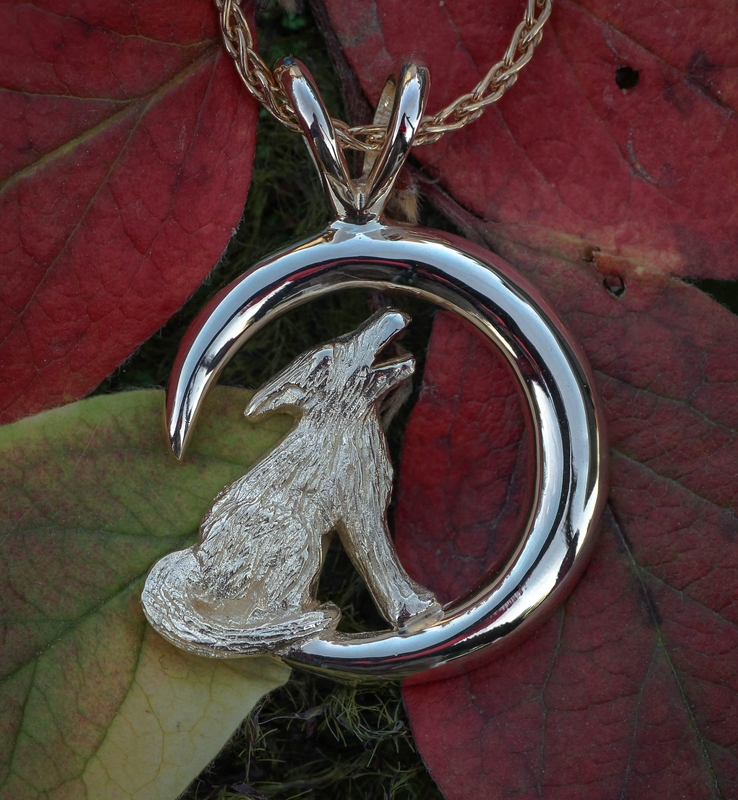 Wild Alaska Wolf howling at the moon in a 14kt White Gold. 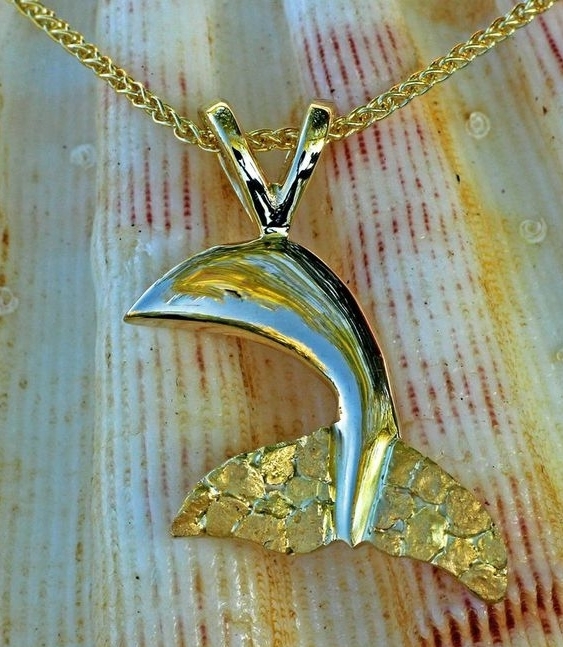 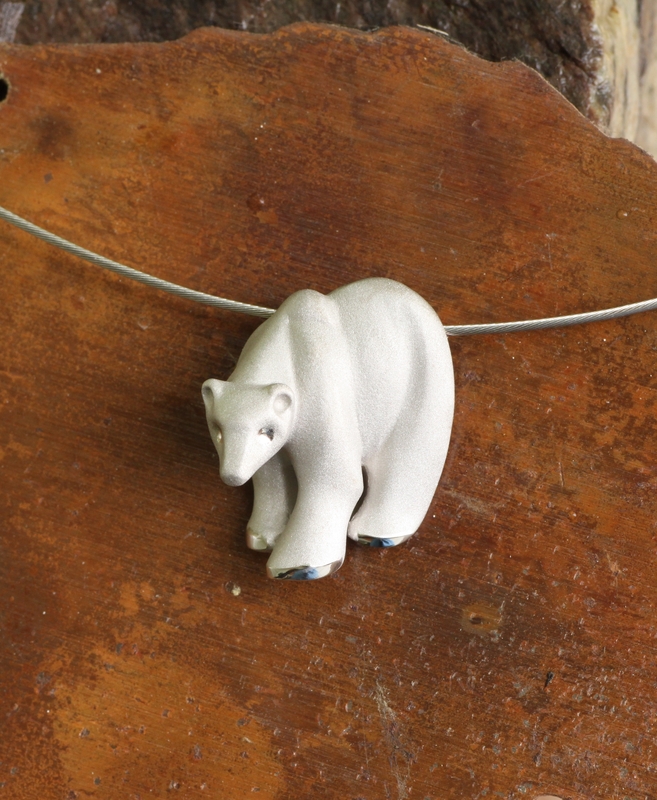 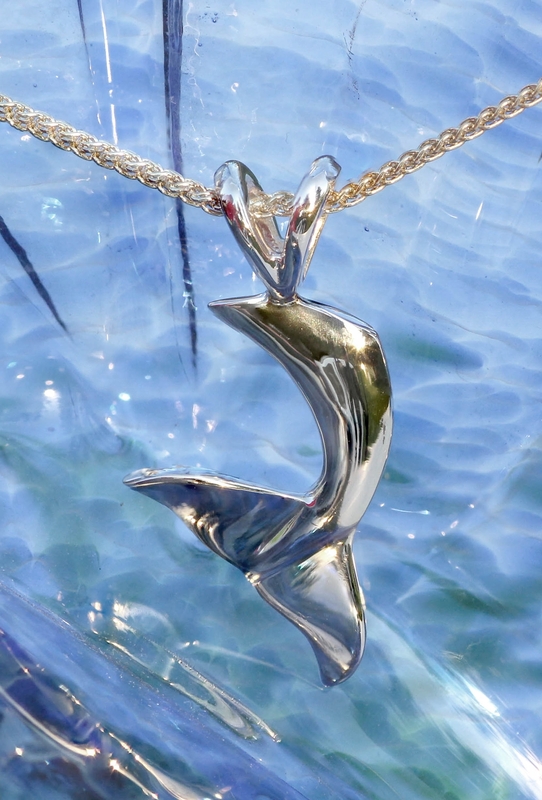 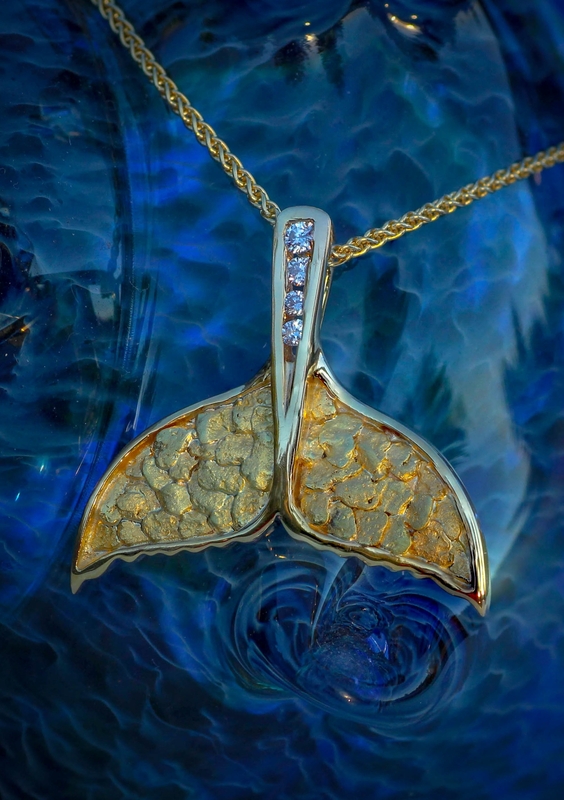 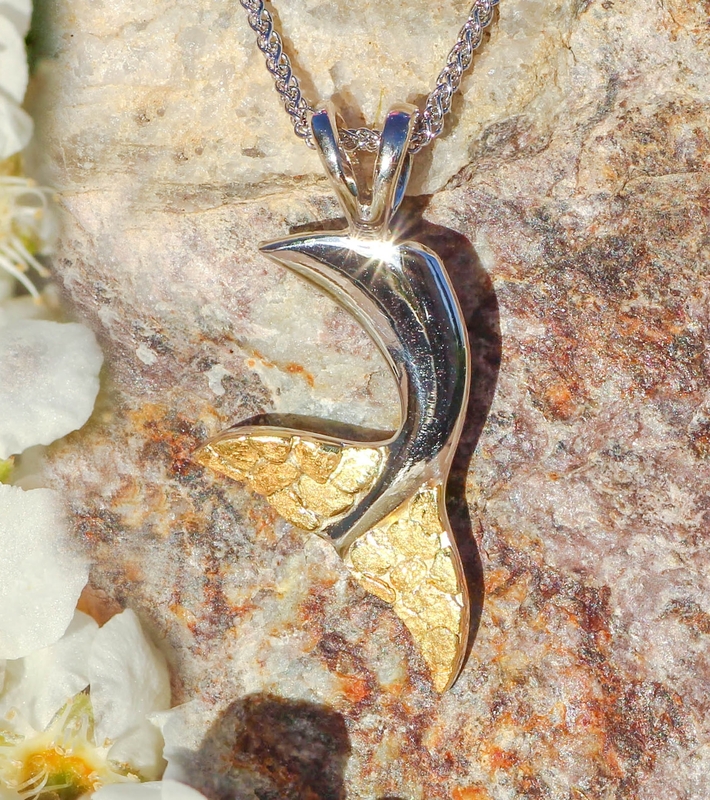 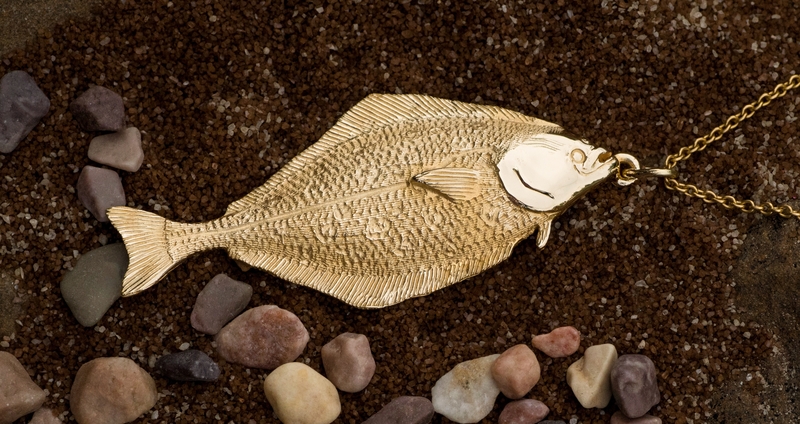 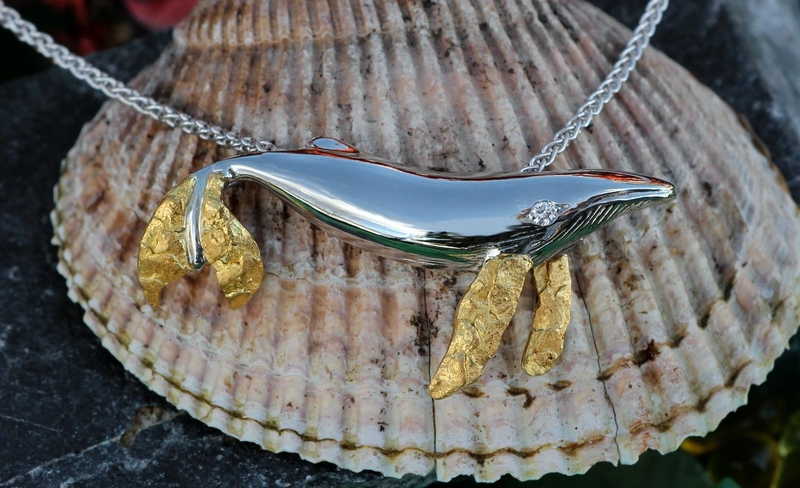 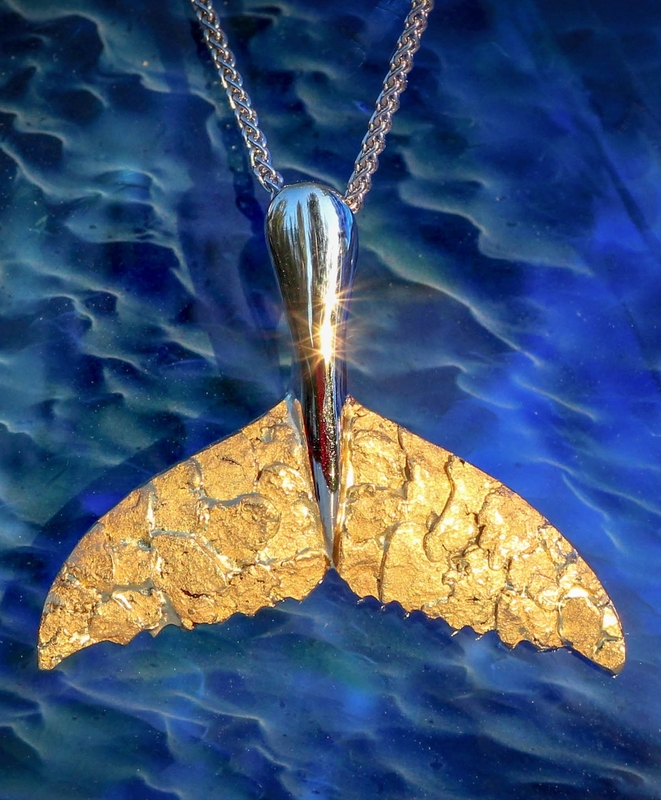 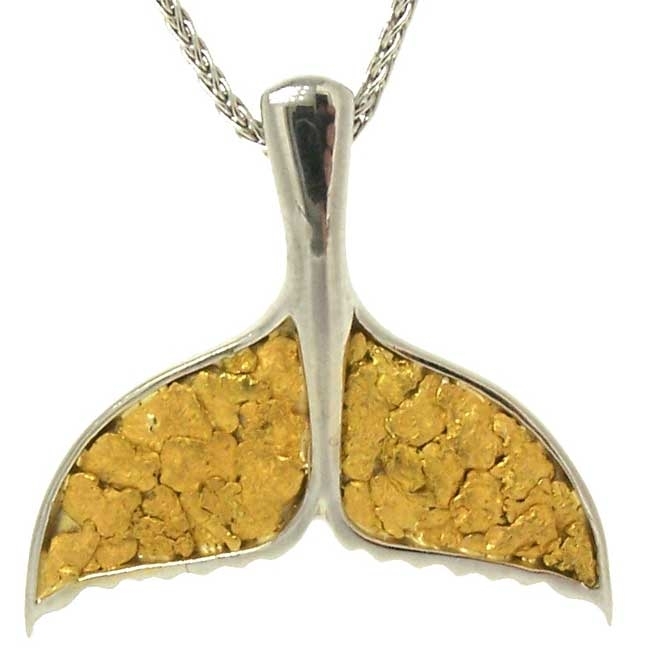 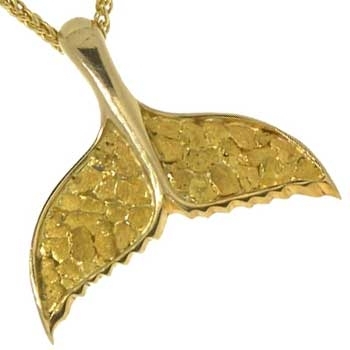 Gorgeous Wild Alaska Whale Tail Pendant in White Gold.